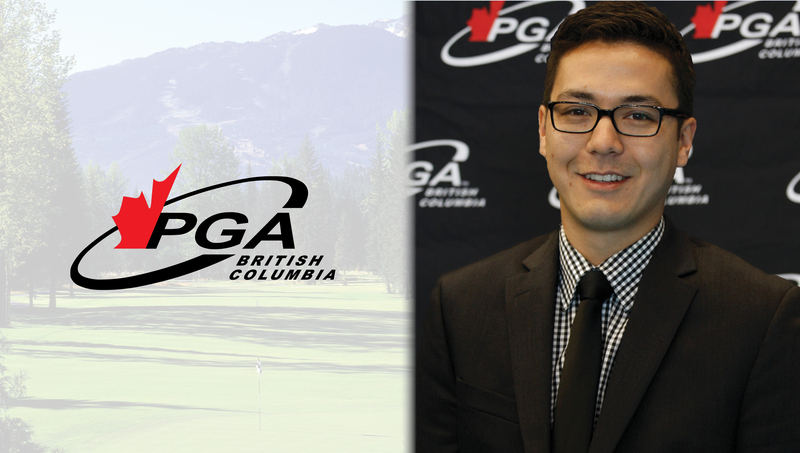 The PGA of British Columbia is pleased to welcome Class "A" Professional Branden Stewart to his new role as the Association's Membership & Events Manager. RICHMOND, BC (PGA of British Columbia) – The PGA of BC administration team is pleased to announce that Class “A” Professional Branden Stewart has been hired as the Association’s new Membership & Events Manager. Stewart is well known to many PGA of BC members, having served on the Professional staff at Shaughnessy Golf & Country Club for the past six seasons. The 31-year-old is a graduate of the Golf Facilities Operation Management program at Georgian College in his hometown of Barrie, Ont. He will officially assume the full-time role as of Dec. 3. Stewart, who obtained his Class “A” status earlier this year, is also a PGA of BC tournament winner, having captured the Jack McLaughlin Memorial Pro-Junior Championship while representing Shaughnessy alongside three of the club’s junior competitors in 2017. “We look forward to having Branden join the administration team as Membership & Events Manager,” said PGA of BC Executive Director Donald Miyazaki. “Branden’s previous experience in executing Shaughnessy Golf & Country Club’s member events with highest standards and his team-first mentality make him well-suited to the role. As Membership & Events Manager, Stewart will play a key role in the planning and execution of PGA of BC tournaments, educational gatherings and more. In addition, he will act as the primary point of contact on all matters related to membership, career opportunities and other various initiatives of the Association. Stewart also has hands-on experience administering PGA of BC tournaments, having served as an event assistant at this year’s Club Professional Championship. Going forward, Stewart can be contacted by email at branden@pgabc.org and in the administration office at 604-303-6766.